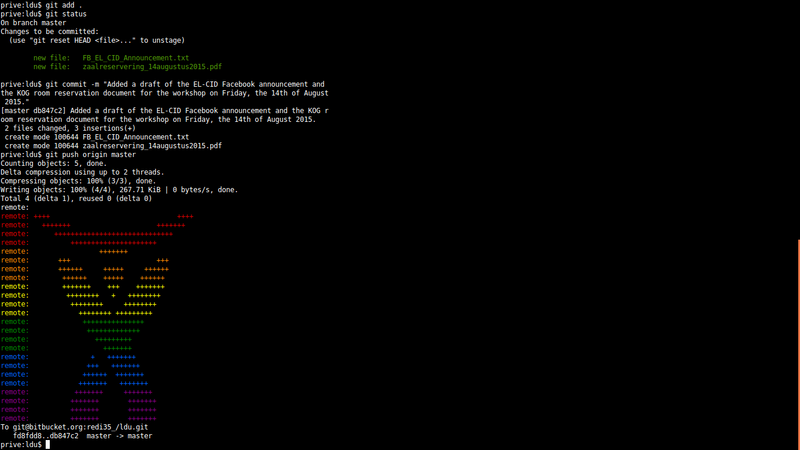 Recently I was scared to death by the following colored terminal response. It was triggered by the git push command. Does anybody have a clue where this colored response comes from? Not the answer you're looking for? Browse other questions tagged git terminal bitbucket or ask your own question. What is the difference between 'git pull' and 'git fetch'? How do I force “git pull” to overwrite local files? How do you create a remote Git branch? How do I rename a local Git branch? Why do we need to use the builder design pattern when we can do the same thing with setters?